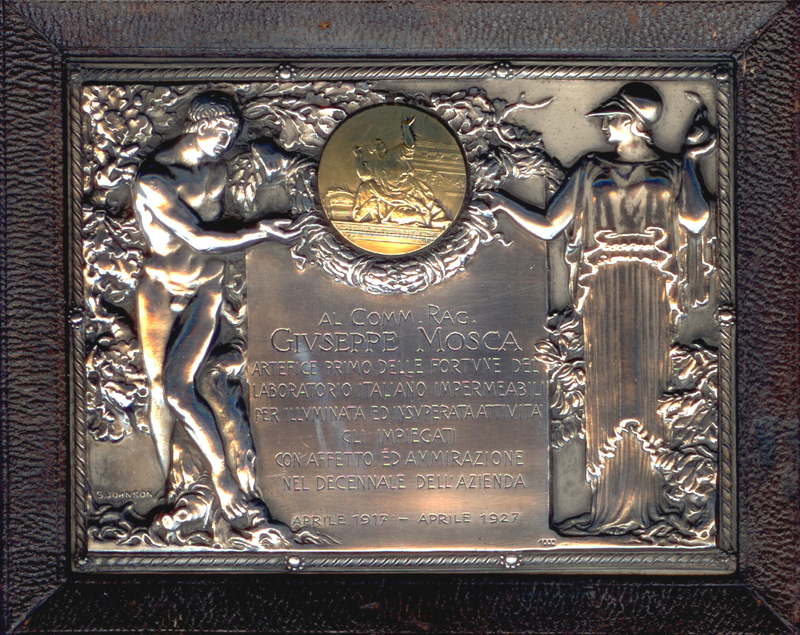 In 1917 born in Milan a dying company started by Giuseppe Mosca. It was the first company in Italy for tissue treatment for technical usages. In 1922 production plants were moved to Cusano Milanino where tissue treatment was placed side by side to the production of flexible abrasives. The equipment in Cusano Milanino took up an area of 75.000 square meters, where 40.000 was covered. The obtained success forced a complete company renovaton to adapt the productions plants to the new technical and market requirements. That’s the reason why the company, in mid-1990’s, was moved to Osio Sotto, in Bergamo’s countryside, in order to complete dedicates its making to bookbinding cloths manufacturing. The air and water purification system allow the company to be at the vanguard in the public health sector. After obtained the ISO 9001 certification, the environmental one ISO 14001 and in order to guarantee the respect of environmental rules monitoring the impact with the territory, Manifattura del Seveso hasn’t stopped his evolution, and recently acquired also the newest FSC® certification (Forest Stewardship Council®) which guarantee that cellulose used into usual production process comes from forests managed with rigorous environmental, social and economic standards.